This week Volkswagen Australia confirmed it will recall more than 60,000 Volkswagen, 5,000 SKODA and 15,000 commercial Volkswagen diesel engine cars potentially affected by emission rigging. This follows similar steps taken in other parts of the world. The company has set up a website where owners can enter their car’s VIN to see if it’s affected. 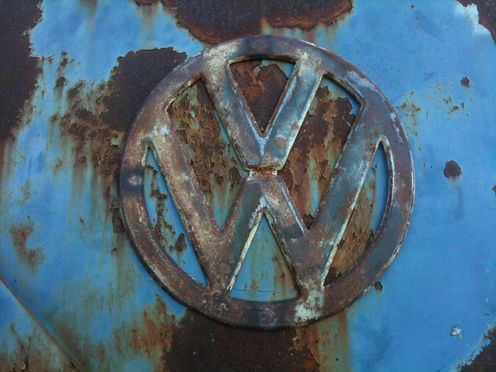 It’s still unclear whether Volkswagen will provide any form of voluntary redress to the owners of affected cars and there has been some talk of a class action claim against the manufacturer. Australia and New Zealand have unique legislative regimes protecting consumers, which differ from almost every other affected country. The Australian Competition and Consumer Commission (ACCC) is investigating whether and to what extent VW may have breached Australian Consumer Law. ACCC Chairman Rod Sims has said using “defeat devices” to improve emissions during testing is specifically prohibited under mandatory safety standards in the Australian Consumer Law. The ACCC has also raised the possibility of seeking civil pecuniary penalties against Volkswagon for false, misleading or deceptive representations. If Volkswagen has misled Australian consumers about the level of emissions produced by its diesel engine cars in breach of the Australian Consumer Law, what rights do affected car owners have? Under the Australian Consumer Law, consumers who suffer loss or damage because they relied on a false or misleading representation in entering into a contract may seek to have the contract set aside. Alternatively, they could claim damages for the difference between the amount paid for the product and its real or actual value. keep the car and obtain damages for the difference between what they paid and what the car was actually worth. Those consumers might also be able to seek damages as compensation for other kinds of loss they may have incurred, including possibly for the disappointment and distress arising from their supposedly environmentally-friendly car not meeting expectations. Under this regime consumers whose decision to purchase a particular car was not based on emission levels but on some other consideration, such as performance, would not be entitled to pursue a case of misrepresentation over emissions, unless of course the emission issue, or indeed the solution to the problem, in some way affected the performance of the car. Another potentially powerful option lies in the Australian consumer guarantee regime. This provides mandatory guarantees of quality in the supply of goods to consumers. This guarantee is often known as an “express warranty”, which is a statement or assertion about the performance or characteristics of goods made by a manufacturer or supplier in order to induce consumers to purchase those goods. Any failure to comply with a consumer guarantee provides consumers with a statutory right to a remedy, determined by the degree of the failure. Consumers are entitled to a replacement, repair or refund of the goods that fail to live up to the manufacturer or suppliers' representations. If the failure is a “major” one, affected consumers can seek to return the goods and obtain a full refund. Damages for reasonably foreseeable losses are also available. Any promotional statements made by Volkswagen about the low emission levels of its diesel engine cars may well amount to an “express warranty” for the purposes of this consumer guarantee regime. It is also possible that any failure of the cars to meet this represented low emission level would amount to a “major” failure to comply with a consumer guarantee. A reasonable person may not have bought the car if they had known the true situation, and in any event it is difficult to see how the situation can be remedied. If this is the case, consumers may have a right to return cars that do not meet the expressly warranted emission levels and obtain a refund. Consumers would also have a right to seek damages for reasonably foreseeable losses arising as a consequence of any failure of the cars to comply with the consumer guarantee. These damages might include compensation for the costs incurred by consumers in looking for a replacement car or even in introducing their own reasonable measures to reduce fuel emissions. Importantly for consumers, these rights under Australian Consumer Law cannot be excluded by contract by the manufacturer or retailer.